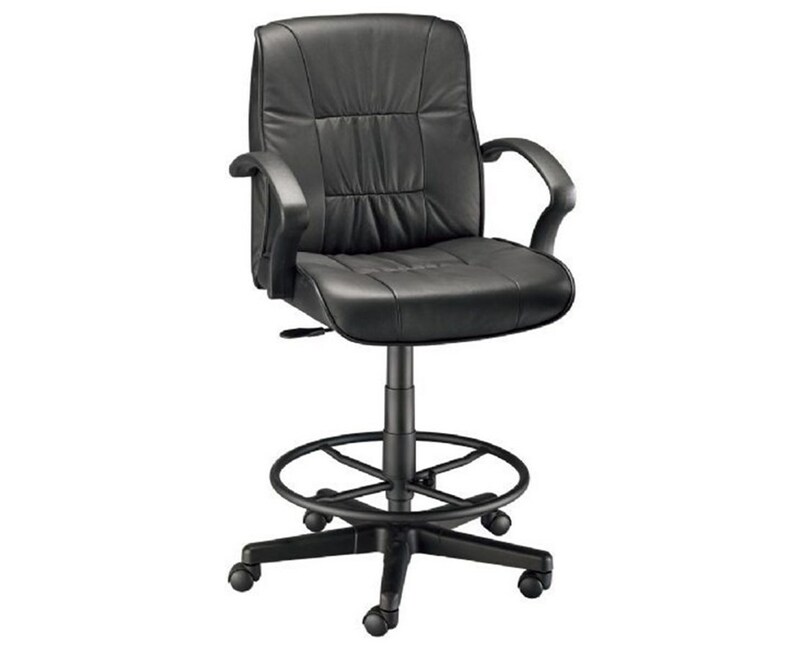 Adjustable height of 24 ½" to 28 ½"
The Alvin Art Director Executive Leather Drafting Height Chair is designed for additional height with its height extension kit. It includes a durable cylindrical steel shaft and a 21-inch diameter adjustable foot ring. With a pneumatic height control lever, it allows conveneint and quick height adjustments from 24 ½ inches up to 28 ½ inches. This drafting height chair features an attractive and professional look with its high-quality buffalo leather upholstery. It comes in sleek black color perfect for office settings or studio environment. To ensure ultimate comfort even for long hours of sitting, it is equipped with a 20"W x 19"L x 3”H extra thick seat cushion, armrests, and high back. This backrest is 19 inches in width and rises 20 inches from the seat to provide full back support. 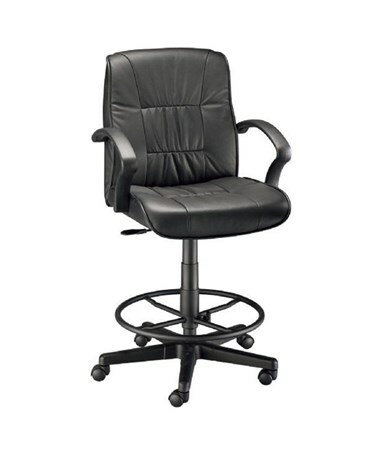 The Alvin Art Director Executive Leather Drafting Height Chair is sturdy and stable with its reinforced nylon base that is 26 inches in diameter. It comes with five dual-wheel casters for total mobility and easy control. This guarantees efficient working even while sitting. Adjustable Height 24½" to 28½"